Clifford K. Berryman (1869-1949) was a Pulitzer Prize–winning editorial cartoonist, perhaps best known for inspiring the Teddy Bear toy. As a draftsman, illustrator, and cartoonist, Berryman always worked in pen and ink. 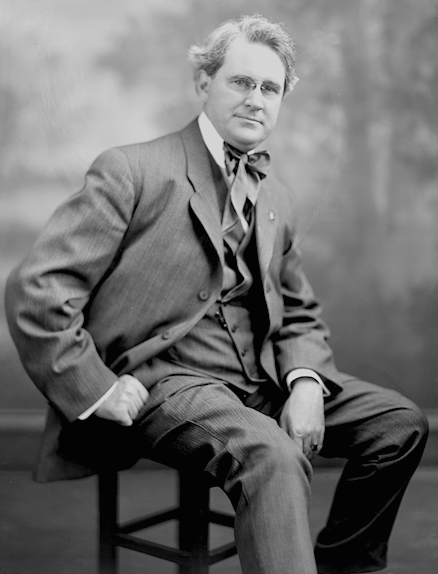 Berryman satirized both Democrats and Republicans with a light-hearted approach. 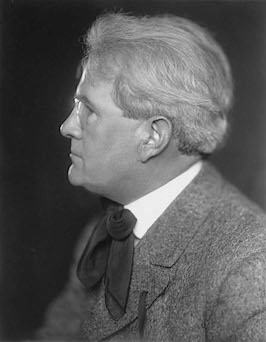 Born April 2, 1869 in Clifton, Kentucky, he never attended art school and was entirely self-taught. His first job, in 1886, was as a draftsman at the United States Patent Office in D.C. From 1891 to 1896, he worked as a general illustrator and it was during this time that he learned cartooning by studying contemporary cartoons and copying the artist’ styles. 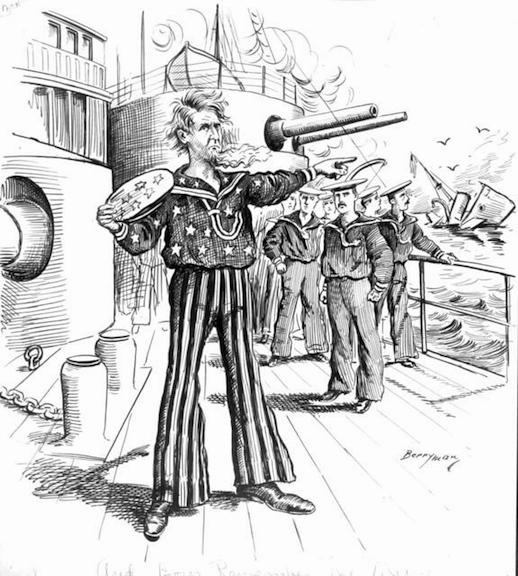 Berryman’s illustration entitled “And Boys, Remember the Maine!”, which appeared in the Washington Post on April 3, 1898, depicts an angry Uncle Sam addressing sailors as the USS Maine sinks in the background. “Remember the Maine,” became the battle-cry for American sailors during the Spanish-American War. Berryman originated the “Teddy Bear” in his illustration “Drawing the Line in Mississippi”, published November 16, 1902 in the Post. 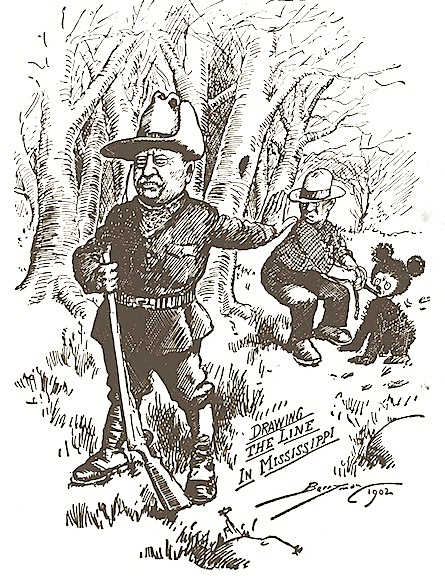 It showed President Theodore Roosevelt refusing to shoot a captured cub during a bear hunt. This is the cartoon which inspired New York store owner Morris Michtom to create a new toy and call it the Teddy Bear. 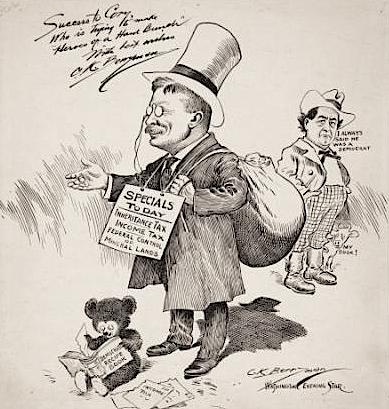 This little bear appeared in cartoons drawn by Berryman throughout Roosevelt’s career. Berryman drew thousands of cartoons, first with the Washington Post and then with the Washington Star, where he drew cartoons until his death on December 11, 1949. Berryman’s cartoons can be found at the Library of Congress, the National Archives, and George Washington University.